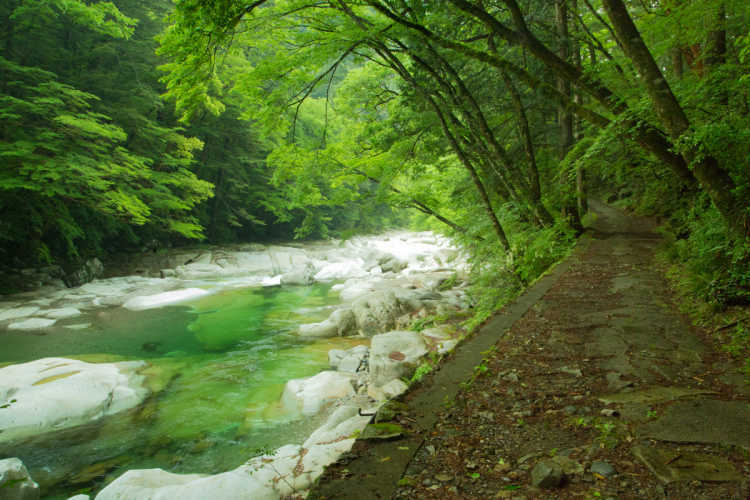 An emerald river located at inner mountain in Shikoku Region, is named Omogo River. You can enjoy beautiful green river and shinning white rocky scene from the easy-walking path! By the way, it's the headwaters of Niyodo River that has become more famous for its beautiful water called 'Niyodo Blue'.◎Car parking area is available. Also, you can access by bus from JR Matsuyama after transfer once (but it takes 4 hours). In addition, it's the entrance of Mt. Ishizuchi, I think it's good to tour Omogo Gorge and Mt. Ichizuchi climbing together.